A Rare Find! Custom built 10,000 sq. 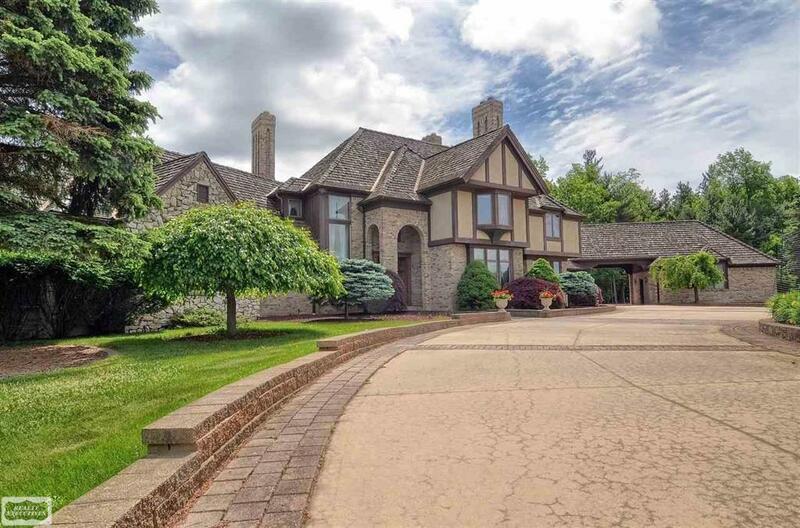 ft. estate hidden away on private 138 acres in the heart of the Metamora Hunt Club. Home features all high end finishes & custom woodwork throughout, one-of-a-kind 1 1/2 story with full finished walkout basement that sits approximately 1,500' off road, fantastic views of rolling countryside from walls of windows, large 1st floor owners suite with 4th fireplace walks through to library, 4 upstairs bedrooms & all have private bathrooms, finished walkout features billiards room, wine cellar, exercise room, full bath & recreation area; 4.5-car heated garage, caretakers residence on property along with 40' x 30' pole barn/auxiliary building & pond, 138 acres features rolling meadows & woods with trails, whole house generator system, copper gutters, upper & lower patios overlooking private grounds, original owners have maintained property with true pride of ownership! IDX provided courtesy of Realcomp II Ltd., via RealtyVolution.com and Mirealsource, Copyright 2019 Realcomp II Ltd. Shareholders. Real Estate listings other than those of RealtyVolution.com are marked with the Broker Reciprocity logo and detailed information about them includes the name of the listing brokers. Information deemed to be reliable but not guaranteed. Any use of search facilities of data on the site, other than by a consumer looking to purchase real estate, is prohibited. Last updated on 2019-04-21.